Heat grill on high heat. 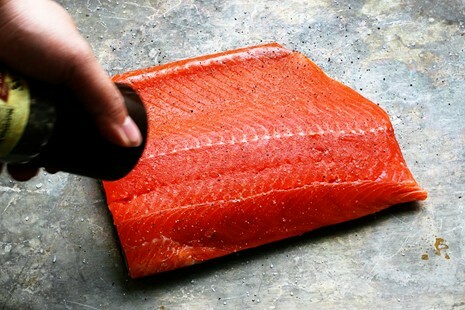 Spray grill with non-stick spray and cook salmon (skin side up, flesh side down) for 5 minutes. 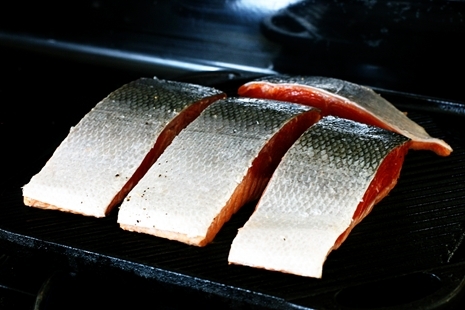 Turn salmon fillets over and cook for another 4-6 minutes until salmon is cooked through. 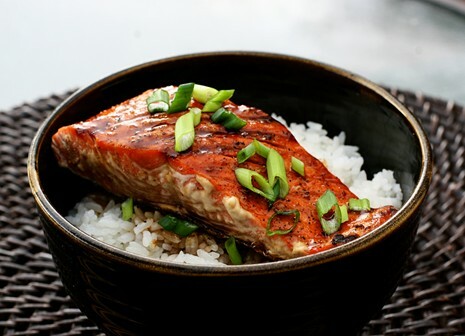 Drizzle teriyaki sauce over salmon to your liking. 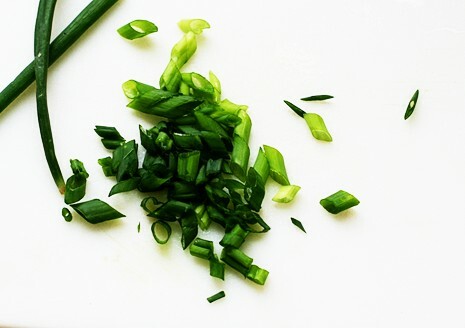 Top off with green onion slivers. Enjoy! In a medium pan add all the ingredients except water and corn starch. In a small cup dissolve corn starch and water before adding to sauce pan. Cook sauce on medium heat for 5 minutes occasionally stirring. Serve immediately and store any left overs in the refrigerator for future use. 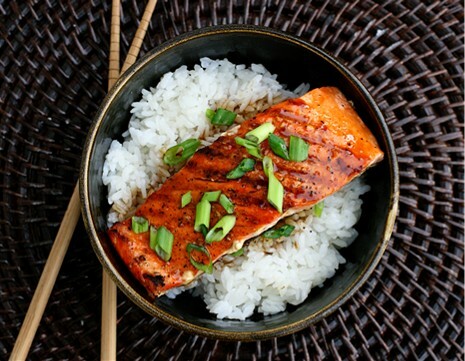 I really love salmon and I found this post as I was looking for a recipe for salmon with teriyaki sauce. I am planning to cook this at home soon as I crave for something I have tasted at Vikings buffet restaurant. I’ll use fresh garlic perhaps. Just tried this and flavor is great! I used fresh garlic and a bit of garlic powder. Didn’t have cornstarch so used tapioca starch instead. Will try using honey instead of sugar next time just to experiment. This one’s a keeper! Best Teriyaki Sauce Ever. The garlic powder clumped up so I threw it along with a small square of ginger in the blender to liquify. Used Korean chilli powder. Hi Mary, how did the teriyaki turn out? I made bulgogi this week too. Love it with steamed rice! looking forward to making this for my family. I think my Korean husband will like this version of sauce. I love your blog. I’m also going to try the bulgogi this week too. I hate cooked fish…….but…tonight we bought some wild fresh salmon. Now I like it, thanks. I just wanted to pop by and tell you I have made this recipe over and over and it really is fantastic! Hi Alice. I made this recipe tonight. My husband raved about the teriyaki sauce. He thought it was the perfect accompanyment for the salmon. Even my 4yo son had seconds! I was looking for an easy recipe just like this! It’s wild king salmon season and I’m going to take advantage 🙂 Thanks! This teriyaki sauce was delicious! I stumbled upon it yesterday and yesterday evening I made stir fry for dinner with this sauce. It has now found a place in my recipe box. Thanks! Looks wonderful! I’m going to try this next week for sure. Thanks for the recipe! This looks lovely! Your photos are beautiful! I’m not a fish lover, but I’m trying to eat it more often. 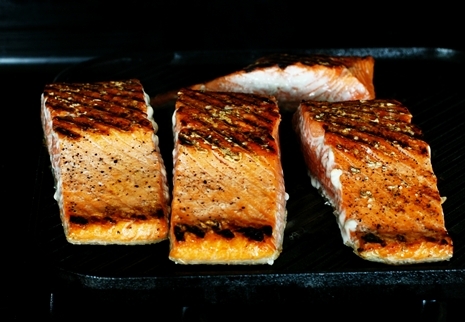 I grilled salmon on Sunday night, but I wish I had seen your recipe first. Thanks for the post! 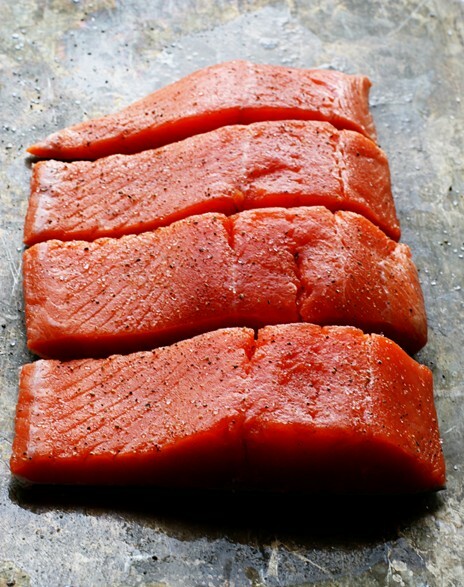 I find myself craving salmon after reading your post. I’m always looking for new ways to cook it — especially since my husband is not a big fish-fan. I’m not convinced I can get him to eat salmon, but I’m sure going to try your way and see if the teriyaki sauce doesn’t bowl him over. 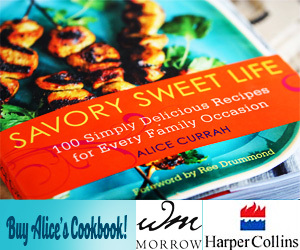 PS – Looking forward to meeting you in Seattle at IFBC (thought I read that you’re going, too). That salmon looks like absolutely perfection! I love teriyaki on almost anything, even just plain rice! I typically wait until the grill is nice and hot before brushing on vegetable or olive oil. I immediately will place my seafood or meat on right after. This seems to help prevent the fish from sticking. Hope this helps! Thank you! Thank you! Thank you! I have tried so many different sauces as I really perfer not to eat out (even take-out). I will be trying this tonight! That looks delicious. It’s only breakfast time, but I could really go for that salmon bowl right now! Perfect recipe for summer. I love the bright color of the salmon. It looks absolutely devine! How does your fish not stick to the grill? I have had the worst time with my grill pan and fish. Is there a secret?